Delhi Malayalee Association (DMA) Dwarka Sub City Area celebrated Christmas and New Year 2014 on Sunday the 19th January 2014 at DDA Community Hall, Sector:7, Dwarka from 6:00 P.M. till 9.00 P.M.followed by dinner hosted by DMA, Dwarka. 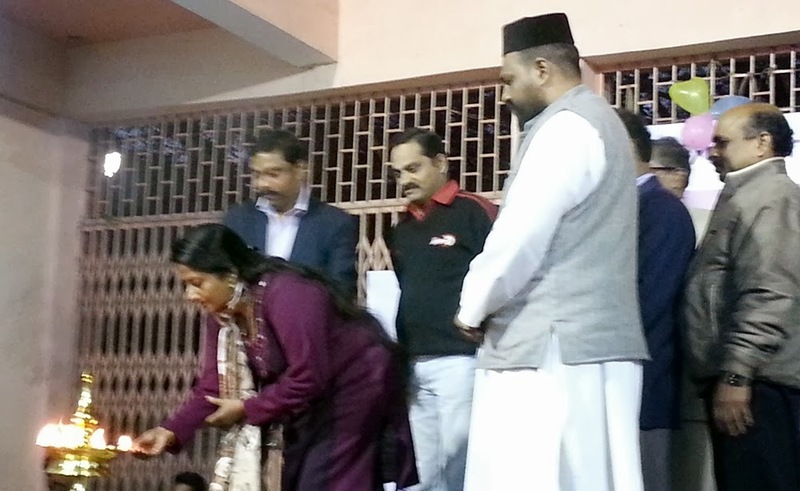 The function started by lighting the lamp by the Chief Guest Rev. Father Johnson Ivpe, & DMA Chairman Mr.Jayaraman, Vice Chairman Mr.Chacko, Secretary Mr.Sudhakaran, Jt.Secretary Mr.Jayakumar, Ladies Wing Convener Mrs. Susan John and Programme Convener Mr.Shankar. The Christmas & New Year Message were presented by the President of DMA Mr. Chandran & General Secretary Mr.Unnikrishnan. The celebration followed by Cultural Sandhya by”NADHABRAHMAM”, Dwarka & DMA Dwarka Members along with Magic Show ” PHANTOS MAGORIA” by Magician Nilambur Rajesh. The function was attended by all Malayalees residing in and around dwarka and the members who were present at the function enjoyed the cultural extravaganza.